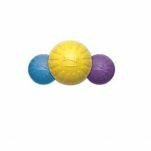 Comes in one of three colours - Purple, Blue or Yellow. 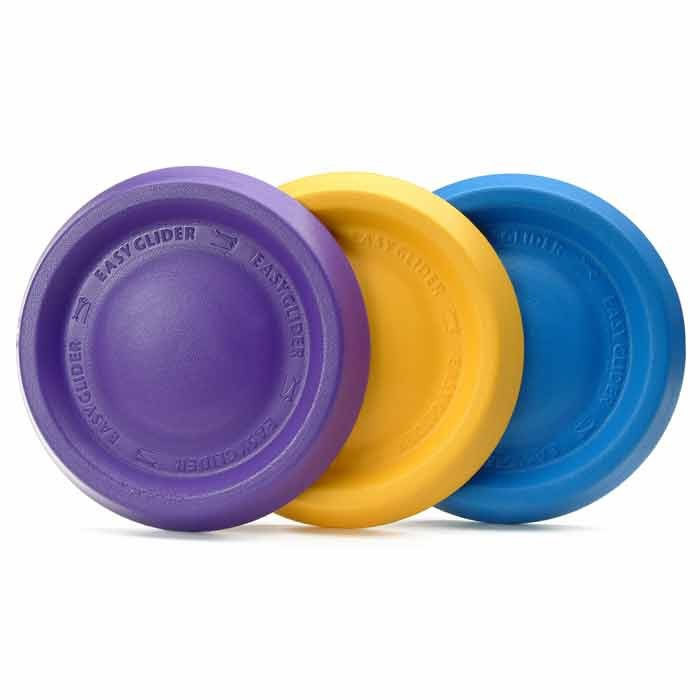 We have just added a Easy Glide to our collection of toys. This was purchased for use at the beach and its fabulous, my boys just love it. We have placed an order for another on so they both have one. Mind you they were getting a lot of extra exercise chasing one another to get it. Read 7 customer reviews of StarMark Easy Glide Durafoam Disc. The average customer rating is 4.6. Great frisbee! 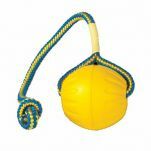 Strong, durable, our dog loves it. She finds it hard to pick up off the ground once it's flat, but she manages eventually. My BC x Kelpie loves this disc. It is really easy to throw and soft on her mouth. It's also surprisingly tough. I have been looking for this frisbee for over a year since I lost our last one (this is a different brand to our original). I was really happy to receive exactly what I was after. My dogs favourite toy!! Just love the Durafoam toys they last for years. I really like the product but i haven't been able to get my pup to like it yet ! The easy Glide Durafoam is very light and soft on the dogs mouth. It has stood up to several weeks of my cattle dogs attention and shows no sign of breaking, more than any previous plastic frisbee has achieved. 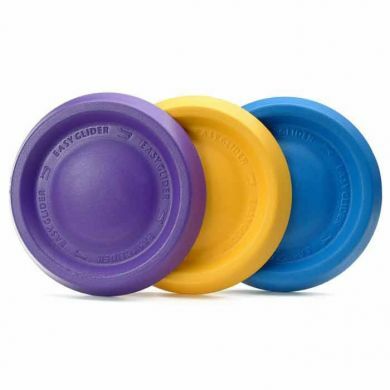 Probably doesn't fly as far or as fast as a hard plastic frisbee but a good choice if you want something that is going to be soft on your dogs mouth & still give that "frisbee fix".